Top star, Min Woo, who is bored with his life, discovers that one day our of nowhere, his doppelganger appears with an offer he couldn't resist. His doppelganger suggests that he can replace Min Woo's boring jobs and so, Min Woo agrees. 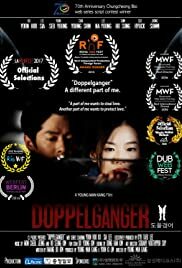 Slowly, Min Woo's doppelganger takes his place one by one; even with his love, Yeon Ju, and thus, Min Woo realizes his doppelganger's real intention. Now, Min Woo has to take his life back from the doppelganger's plot to steal love.